Aqua One's innovative new range of Betta tanks are really easy to maintain, thanks to great design and the very latest in aquarium filtration technology. 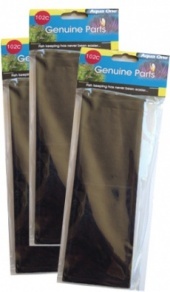 Naturally, here at Aquarium Parts we have the largest selection of genuine Aqua One Spare Parts for all Betta aquarium models including the Betta Mono aquarium, ready for immediate despatch. Browse the complete range of Aqua One's new Betta Duo aquarium spares from Europe's largest stockist, including carbon cartridges, cermamic filter cartridges, sponge pads along with heating, lighting and filter pump products with a range of delivery options. 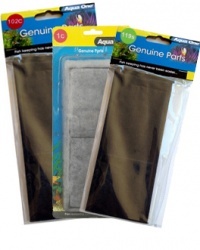 Whatever Betta Trio Aqua One spare part of filter accessory you are looking you can be confident that here at Aquarium Parts we stock the complete range. In fact, we have Europe's largest stock holding of genuine Aqua One spare parts and accessories to ensure all orders are dealt with in a timely fashion. Looking to buy a new Betta aquarium? 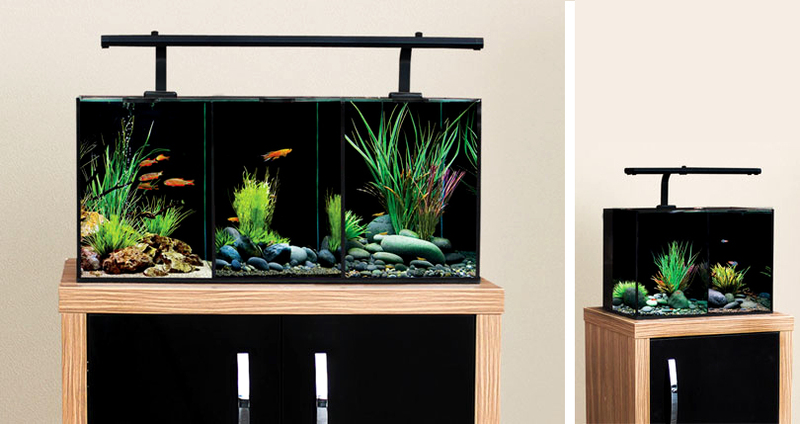 With the Betta Series aquarium from Aqua One it's now possible to create up to three different worlds all in the same tank, just as long as the water requirements are the same for each of the residents you wish to keep. The Betta aquariums are available as Betta Mono, Betta Duo and Betta Trio and as their names suggest, they provide separate compartments for your fish and other creatures such as shrimps, crabs, Bettas and Dwarf Guarami to inhabit. Other features include, the very latest energy efficient LED Lighting, integrated filtration at the rear of the aquarium and there are also a stunning range of Inspire Cabinets available to complement all of the Betta range. * Please contact us for more details. Maintaining your Betta aquarium was never easier... Keep your Betta Mono aquarium in fantastic order with our great value genuine Aqua One Complete Renewal Kit. The easiest and most cost effective aquarium maintenance solution, from Aquarium Parts and Aqua One. Maintaining your Betta aquarium was never easier... Keep your Betta Duo and Betta Trio aquarium in fantastic order with our great value genuine Aqua One Complete Renewal Kit. The easiest and most cost effective aquarium maintenance solution, from Aquarium Parts and Aqua One.